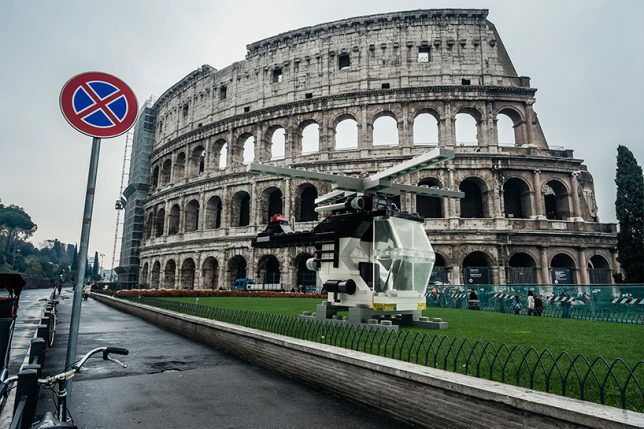 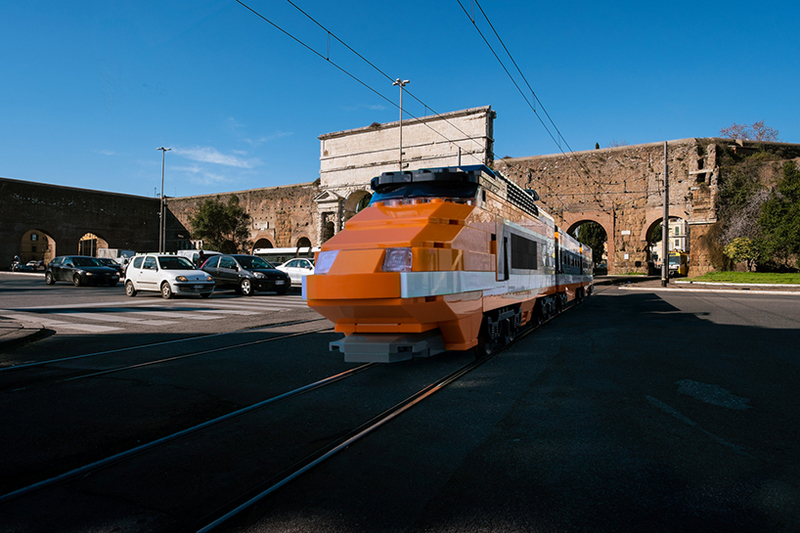 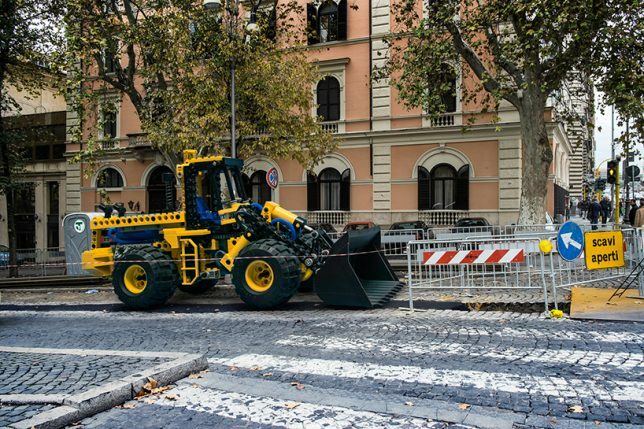 A sports car parked in a residential alley, train emerging from a tunnel and helicopter landing next to the Colosseum are all believable sights in Italy’s capital … except in this case they are constructed from LEGO. 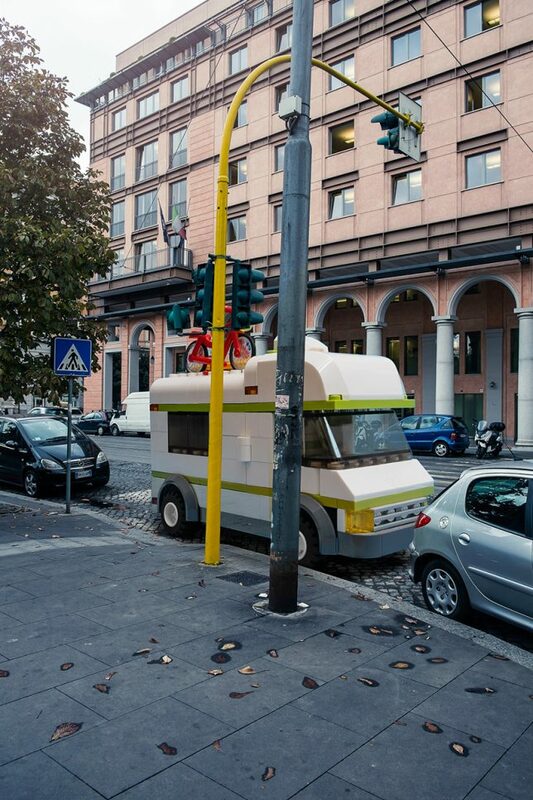 Italian photographer Domenico Franco imagines these block-built vehicles at human scale in his series LEGO Outside LEGOLAND, masterfully faked scenes of photo-realistic quality. 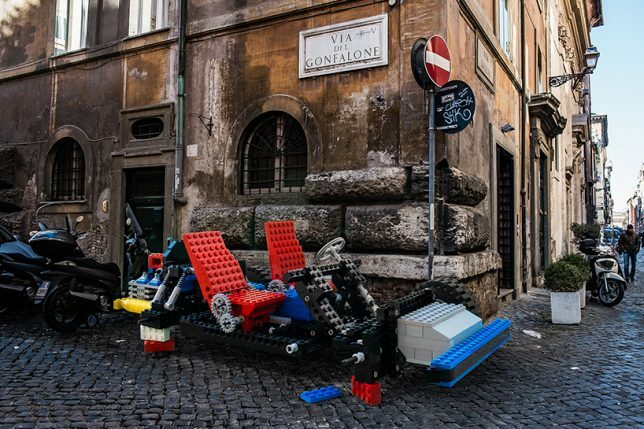 In his series, normal conveyances are swapped with LEGO creations that stand out as simplified block forms against the rich historical fabric of Rome. 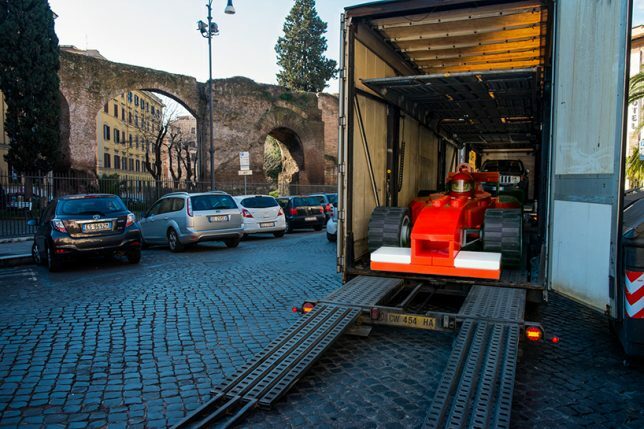 While some are clearly toys writ large, others are more convincing: a passing glance at a tractor trailer doing road work might not immediately belie its fictional origins. 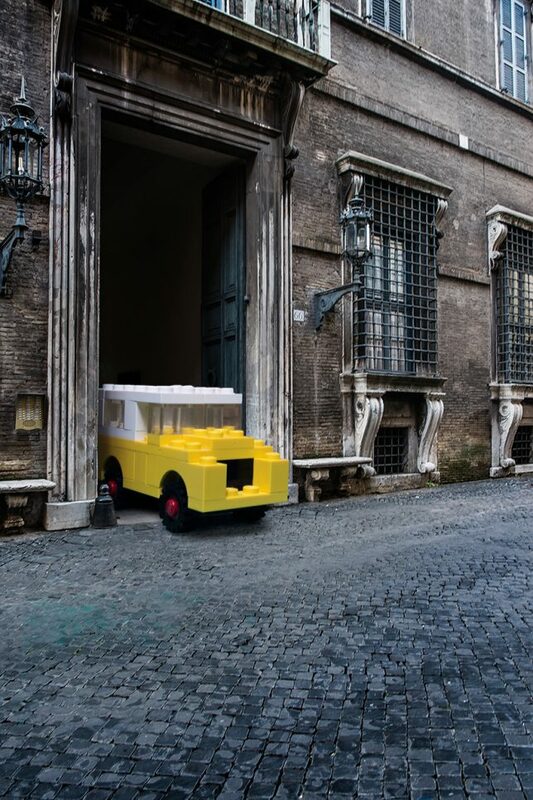 Landmark buildings and aged cobblestone roads come alive thanks to the contrast created by intervening toys. 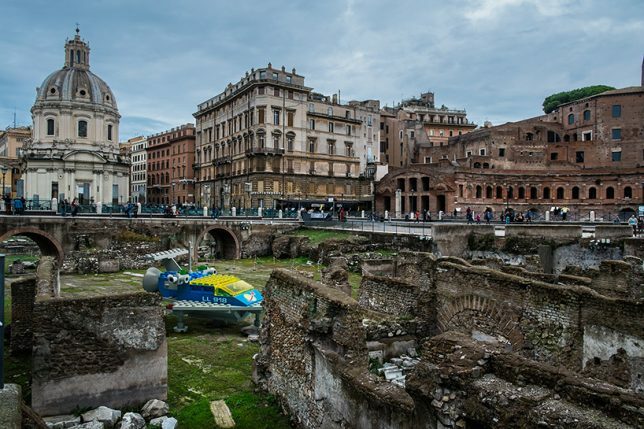 Ordinary gray-blue weather and aged architecture seems even more real than in a normal photograph.